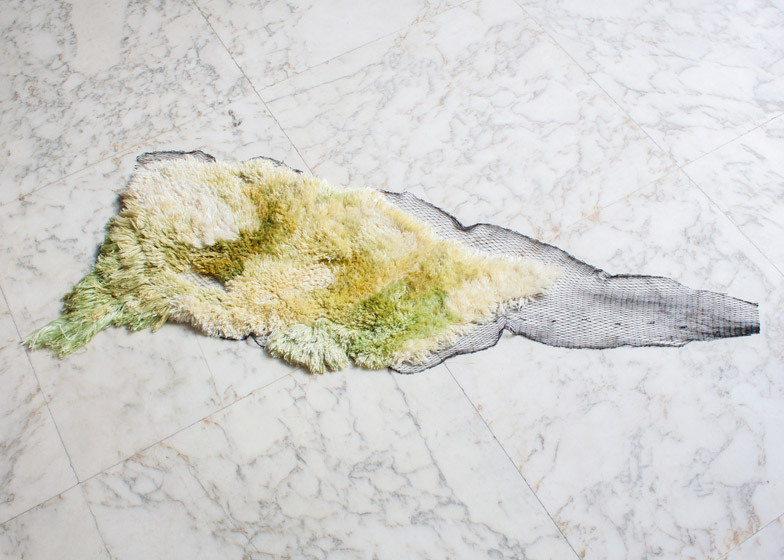 Dutch Design Week 2014: this rug by Dutch designer Nienke Hoogvliet is woven using yarn made from algae harvested from the sea (+ slideshow). 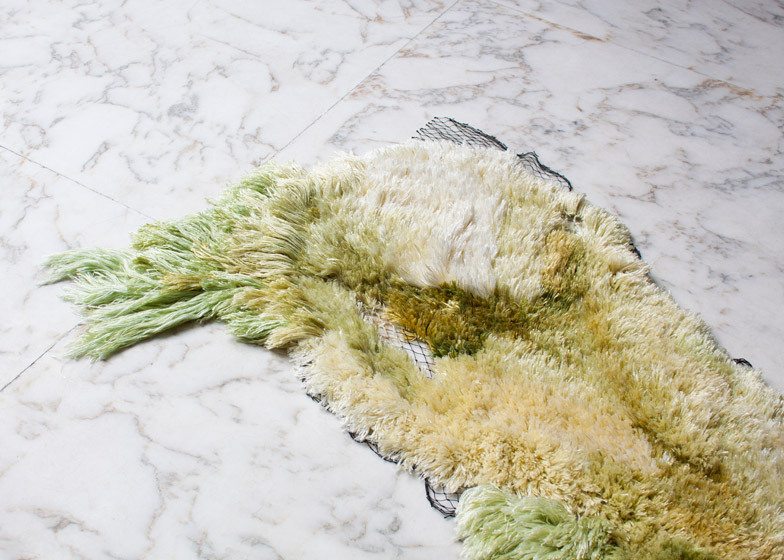 To draw attention to this raw material, Nienke Hoogvliet knotted the algae yarn around an old fishing net to form a floor covering called Sea Me. 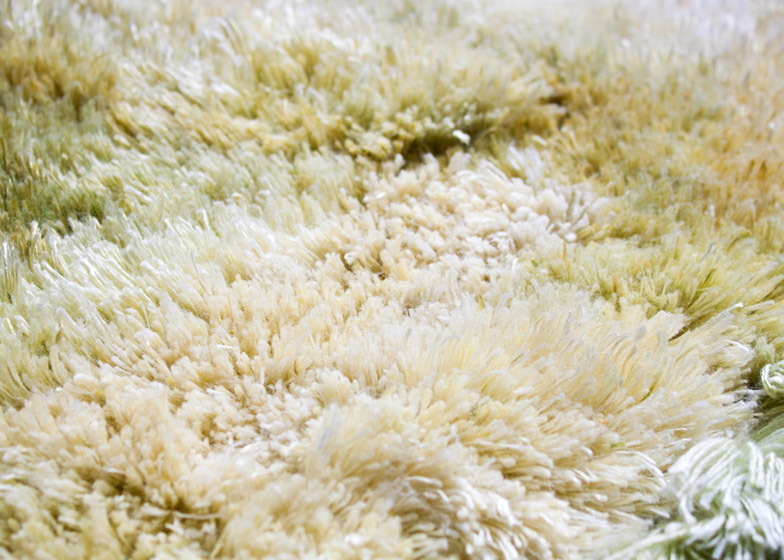 The yarn is created using cellulose extracted from kelp, a large seaweed that is one of the biggest types of algae. The kelp is harvested in South Africa and purchased from a specialist supplier. The cellulose has similar properties to viscose – a chemical compound used to create synthetic textiles – but creates much softer fibres, according to Hoogvliet. "It's spun irregularly therefore the thread is thick in some places and thin in others," she told Dezeen. "It has an organic look." Viscose production is not environmentally friendly, so Hoogvliet hopes that the algae-based alternative could provide a suitable replacement. 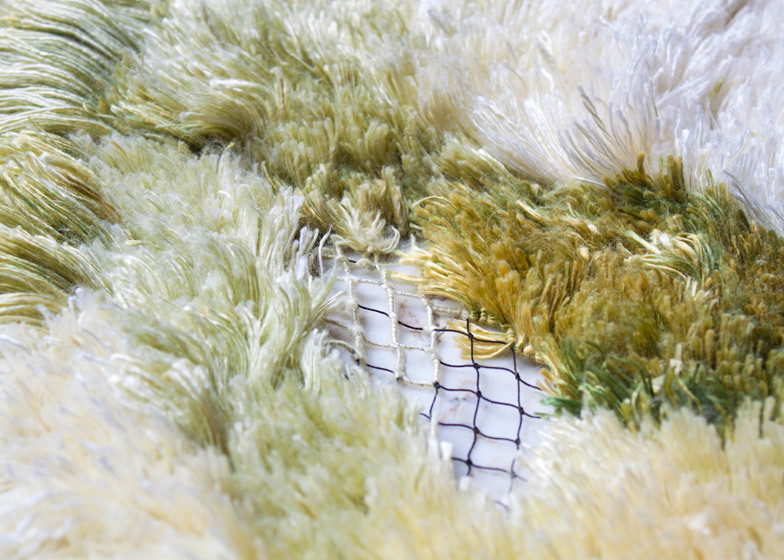 Shades of green blend into one another across the surface of the shaggy rug, with sections of the netting left exposed around the edges. To create the gradient effect, the yarn was dipped in paint while still wrapped around a cone so the colour gradually sept through to the wound fibres underneath. "I mixed different types of textile paint to get the perfect green," said Hoogvliet. "After that I dyed the whole yarn cones. A natural gradient appears through the movement of paint through the cone – the outside is darker than the inside. When taken off the cone, I used this gradient to make the gradient on the rug." 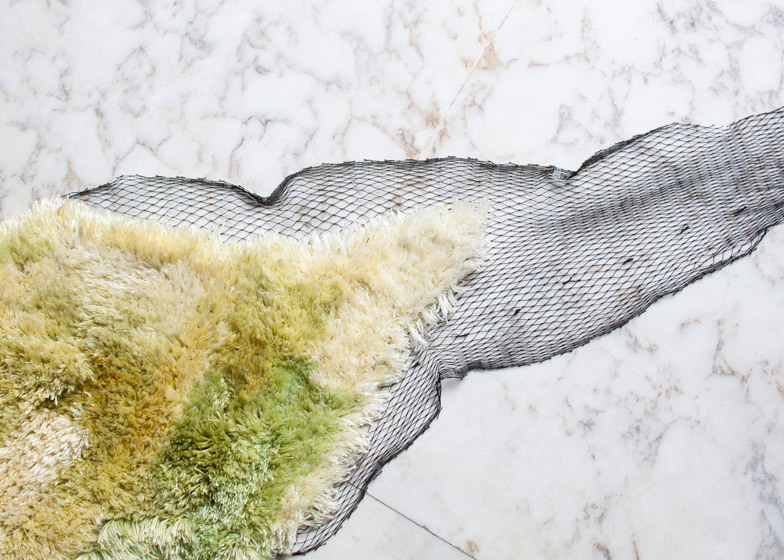 Sea Me, which was presented at Dutch Design Week earlier this month, is Hoogvliet's first product created through experimenting with the algae fibres. "With this project I wanted to show what is possible with this yarn," the designer said. "I hope many projects will follow." Algae are largely aquatic organisms that contain chlorophyll range from single-cell lifeforms to much larger species such as kelp that can grow up to 30 metres long. Photography is by Femke Poort.